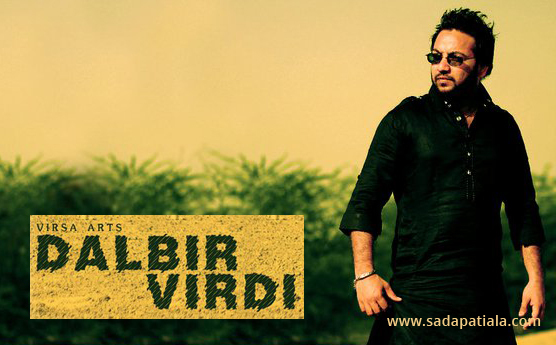 Born and brought up in Patiala, Dalvir Virdi (born 1983) has grown up in a musical environment. A Singer, music composer, music director and a music lover is a better way to define him. Baqar Hussein Khan, a maestro, used to visit their home for teaching her sister and that inclined him towards the music. He was just five years old when he started getting training of classical music and Gurmukh Sangeet from his guru Jaspal Singh. As a child he has given various singing performances on All India Radio. Also at the age of 16, he added another feather to his cap by winning a gold medal at RD Burman Night, Patiala. While doing his graduation from Khalsa College, Patiala he again became the gold medallist in Gurmukh Sangeet at national level. Later he moved on to do a Masters in vocal music from Panjab University. To take his streak of creativity to a next level, this talented singer opened his own studio in Patiala in 2008. Instead of composing and singing songs at a hired studio he now works for hours at his own personal studio. It’s a place where he loves, eats, breathes and lives music. So far he has also composed music for various leading singers of Punjab. Grown up listening to the songs of veterans such as Hans Raj Hans, Sardol Sikander, Wadali Brothers; he does not stick to a particular kind of genre, you can hear him listening to almost all kinds of songs then be it romantic, folk or sad. Being a musical composer he has complete knowledge of piano, keyboards, sequences etc. He is all set to release his solo album which will launch him as a singer as well.